How to Remove Windows Computer Viruses Manually? Despite of major technological advancements, both in terms of hardware and software, it has been an issue protecting our PCs against certain threats. Regardless of costly and highly equipped security solutions, some viruses have proved it of being indestructible. A computer in a continuous connection to the internet is vulnerable to its extortions, and is most likely to get infected if necessary measures have not been taken. You are usually advised to run a virus scan to identify and get rid of such threats, although, these scanners are not always effective. Some viruses tend to form blockages and attack even the antivirus, making it blind. In such a situation, a user is commended to remove these viruses manually. This editorial entails the systematic procedures to exterminate a virus and/or malware on your own. In order to do so, you should be knowledgeable enough to remember the name of virus your PC is encountering. These definitions and names are identified by your antivirus in the scan results. The antivirus is able to detect these threats, but lacks the ability to remove them. The exact virus terms can also be searched through the internet by keying symptoms. Once you are done with the name, accomplish the commands below. Viruses tend to load themselves spontaneously as Windows boot. Keeping this in view, you need to boot into an environment that is unsupportive to such behavior. Boot in Safe Mode for a limited level of activity. For this purpose, restart your computer and continue pressing F8 until the Advanced Boot Menu appears. In this menu, choose Safe Mode with Command Promptto pass through. In the safe mode, explore your folders targeting the name of virus, logged earlier. It could exist on your Desktop, Start menu, and Directories. Navigate to its actual location as it just has a shortcut on the Desktop and/or Start menu. To trace the actual location, right click the icon and go to its Properties. On the Shortcut tab, jot down the full path address stated in the text field next to Target. It is notified that a virus almost always has .exe file extension. Go to the exact folder, containing virus, identified in the previous step. Right click the virus icon and click Delete while holding the Shift key. Identify other doubtful icons in the same area; with the name containing random mix of letters and numbers; having .exe file extension; and modified in a most recent date. Delete all such files as well. Doing this requires superfluous care. If you run these files mistakenly, the virus will become active even in the Safe Mode. This step is to be performed if you are unable to find a shortcut icon of the virus on Desktop or Start menu, and you even do not know the name of virus. The most common folders for the presence of a virus are Local and Roaming at C:UsersUsernameAppdata. Another known location, in this respect, is C:ProgramData. Locate the viruses in these directories and Delete them straightaway. Another way to exterminate the virus is by deleting the related registry keys. There are recognized registry paths towards certain keys that are vulnerable to the viruses. Press Windows key on your keyboard to view the Start menu. In the Search box, type ‘regedit’ and hit Enter to open the Registry Editor. In the left pane, navigate to the following listed keys. These viruses are identifiable on the right pane, as these are misspelled or named as a combination of random numbers, symbols, and letters. These registry keys along with the paths are listed as under. Press Windows key on your keyboard to view the Start menu. In the Search box, type ‘regedit’ and hit Enter to open the Registry Editor. In the left pane, navigate to the following listed keys. Following are the routes, where you can find the traces of the identified virus. It is to be noted that 32-bit Windows has a single registry path, for 32-bit applications, as it does not run 64-bit applications. On the other hand, a 64-bit Windows entails dual paths, 32-bit and 64-bit registry entries, for 32-bit and 64-bit applications respectively. A 64-bit registry path in a 64-bit Windows is similar to that of 32-bit registry path in 32-bit Windows. A 32-bit registry path, in a 64-bit Windows has an additional key extension, named as WOW6432Node, as demonstrated below. After scrubbing the suspected files in your directories, restart your computer. Do not press any key this time and let the computer boot normally. You would most probably, notice a change in behavior of your Windows on this startup. At this stage, avoid running applications and programs until you are completely assured of your security. Before proceeding to your routine operations, it is recommended to run a thorough security check with your incorporated antivirus program. Let it take time, as it would examine the entire directories on your drive. On a scan completion, it would definitely prompt you with alternative actions for any threats detected. It is highly supported to command and remove all such files. By this point, your system would be free of any viruses and malwares. It would be more optimistic to refresh your registry with a safe free registry cleaner earlier to carrying on with your work. It does not take much time and reorganize your scattered entries; delete the invalid ones; and link up the related for an enhanced consummation. Try also to analyze the need of defragmentation and perform it, if required. You can perform a clean installation of Windows 8.1 or Windows 8—which typically means formatting your hard drive before installing Windows—using installation media. You'll need to use Windows Setup to reformat your drive. If you bought Windows 8.1 or Windows 8 on DVD, or created a DVD or bootable USB flash drive using an ISO file when you downloaded Windows, follow these steps to perform a clean installation. 01. Turn on your PC so that Windows starts normally, insert the DVD or USB flash drive, and then shut down your PC. 02. Restart your PC, and then press any key to boot from the DVD or USB flash drive. If you restart your PC and your current version of Windows starts, you might have to open a boot menu or change the boot order in your PC's BIOS or UEFI settings so that your PC boots from the media. To open a boot menu or change the boot order, you'll typically need to press a combination of keys (such as F2, F12, Delete, Esc, etc.) immediately after you turn on your PC. For instructions on changing the boot order for your PC, check the do*****entation that came with your PC or go to the manufacturer's website. If your current version of Windows still starts, try again by waiting until Windows asks you to sign in, shutdown completely, and then restart your PC again. 03. On the Install Windows page, enter your language and other preferences, and then tap or click Next. 04. Tap or click Install Windows. 05. On the Enter the product key to activate Windows page, enter your product key. The product key should be on the box that the Windows 8.1 DVD came in. It looks like this: PRODUCT KEY: XXXXX-XXXXX-XXXXX-XXXXX-XXXXX. 06. On the Please read the license terms page, if you accept the license terms, tap or click I accept the license terms, and then tap or click Next. 07. On the Which type of installation do you want? page, tap or click Custom. In Windows 8.1, tap or click the partition that you want, tap or click the formatting option you want to perform if needed, and then follow the instructions. In Windows 8, tap or click Drive options (advanced), tap or click the partition that you want to change, tap or click the formatting option you want to perform if needed, and then follow the instructions. 09. When you've finished formatting, tap or click Next. 10. Follow the instructions to finish installing Windows. Most Windows users have become conditioned over time to never unplug a USB flash drive or hard drive without first clicking Safely Remove Hardware in the System Tray. In theory, it's to ensure that Windows isn't busy reading from or writing to the drive when you remove it, something that could result in corrupted data or even a damaged drive. As it turns out, however, you can safely sidestep Safely Remove Hardware with little to no loss of performance. In fact, this option may already be enabled on your system, and you just didn't know it. Yep, you may have been wasting extra clicks all this time. 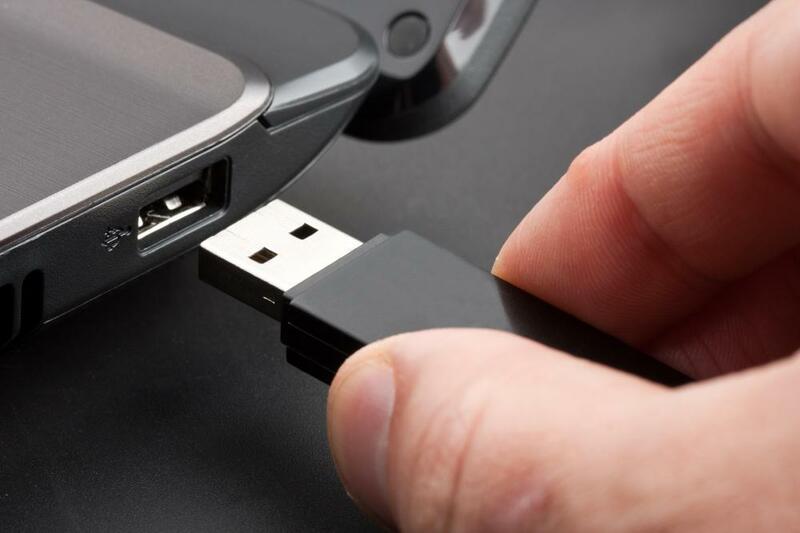 Plug your USB drive into your PC, then open Device Manager. (Note: These steps are based on Windows 7. Expand Disk Drives, then find the entry for your removable drive. On my system, for example, it's called "USB2.0 Flash Disk USB Device." Right-click that entry, then click Properties. Click the Policies tab; you should see something like the screen below. If the first option, Quick removal, is already selected, you're good to go. As noted in its description, "you can disconnect the device safely without using the Safely Remove Hardware notification icon." If Better performance is selected, switch to Quick removal and click OK. So, what are giving up by disabling write caching? The performance impact was negligible. Your mileage may vary, of course, but I think it's worth a few milliseconds to avoid the hassles of having to mess with Safely Remove Hardware all the time.